Innovation is a cornerstone of the American ethos, and innovators have always shied away from the impulse to equate tradition with convention. In this spirit, our Rye, Barley, Wheat Whiskey is carefully crafted using the finest traditions in distilling—It has been distilled in hand hammered, direct fire, alembic copper pot stills and only the very best portion of the cuts, the “heart of the hearts” has been kept at the still—We have, however, chosen to flaunt conventions of category with our decisions about the mash bill and barrel program. Years of blending have convinced us that diverse mash bills produce whiskeys that are more evocative and interesting, so we worked diligently to craft a rich, complex palate of grain flavors by blending six grain components. To protect and enhance these delicate cereal flavors, we elected to forego the conventional heavily charred new oak in favor of used 60 gallon toasted French oak barrels, most of which formerly held Pinot Noir. These barrels contribute weight and depth to the spirit without erasing or obscuring the character of the grain, which we feel should define a premium whiskey. 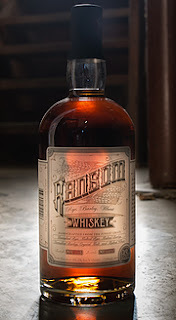 The result is a whiskey which we feel offers unprecedented depth, complexity, and body. 2016 La Crema Pinot Noir Willamette - 93 points! Rare Chave Blanc - always scores huge! Great 2017 CDR - Prefert!